Sometimes business owners rush ahead and start their businesses before creating their business plan, to see if their ideas are viable. Actually I expect most business start this way. Business plans will always save time and stress later on and are worth the effort at the start. A business plan is not just a tool to make getting funding easier, it is a valuable document that gives your company goals and targets to aim for and a clear vision that you want your organisation to follow. It helps your teams know exactly what they need to be achieving. It can lay out responsibilities and deadlines. Don’t make your business plan too long. You should impart the important information as clearly and as simple as possible. It should be specific, realistic and easy to act on. Your plan may have to be tailored depending on what the business purpose for that plan is. A business plan that is required by a start up to get funding, will differ from a plan that is an internal document that is ever changing, that the business uses for growth. a) The Business Concept – Business description, products and services, market and what makes you different. This is your elevator pitch. Why will customers want to buy from you? If you have a vision and mission statement, include that here. b) Financials – Key financial points summary i.e. income, profits, if funding is needed how much. How will you make money? How will you use the funding? c) Current info – Who are the owners and managers of the business, any past trading history, amounts already invested into the business. 2) Market Opportunity – Do your research! What is your target market? How big is your target market? Is it growing? What are the threats to your business and how will you counteract these? This is a very important section of your plan. If you are going in front of investors to pitch, you have to know this information inside and out, because if there is not a market for your products or services, you do not have a business! How will you market your products and services? Advertising, PR, sales team, social media? 3) Competition – Check out your competition. Where are they? Who are they? What are their products? How much do they charge? How much of the market share do they have? What are their strengths and weaknesses? Where do you position yourself in the market? 4) Your Team – Who are the people that are going to help you make your business succeed? Include CVs, if you already have them working for you, or profiles and job descriptions, if you have yet to employ them. Explain what skills each person has and what their responsibilities are. Put the team into sections – marketing & sales, production, research & development and administration, for example. How many people do you need and at what point in the future do you need them? 5) Business Model – Here you should describe all of your income streams and any assumptions you are making. What are your prices and why? How will you deliver your products and services? Direct, through a distributor, online? You must describe all the cost elements and explain what might make these costs fluctuate. If you are already dealing with specific suppliers name them here. Explain how your business will grow. What are your strengths and weaknesses? If you are manufacturing a product have a detailed procedure that sets out how the product is made, what are its components, which team members time will be taken up by making the product, and details of all the related costs to get that product completed. Packaging and distribution costs. Think about any travel expenses needed. What about rent, marketing, electric and gas, payroll, insurance, etc.? Is there any equipment needed to manufacture the products and what will this cost? What about the maintenance and repair of this equipment. 6) Financial Projections – It is good to include 3 or 5 year forecasts for profit & loss, balance sheet and cash flow. Also include a break-even forecast that clearly shows how much income is needed to cover all your initial costs. The financial projections section really needs a lot more explanation, and I covered forecasts in a recent blog, so take a look. If you would like help with putting your business plan together then please get in touch. Check out the website or email enquiries@nozeyparkers.co.uk or call 0808 123 1399. I offer a free initial consultation so contact me if you would like to take advantage of this offer. There really is a “chicken and egg” situation in business that affects us all. We all get to that stage when we know where we want to take our business but we do not have the funds or resources to action anything. You need that admin/PA/sales person to take all the back office stuff off of you, so you have the time to grow your business and your turnover, but you do not have the funds to pay for one. You don’t have the funds to pay for support because you don’t have any time to market your business efficiently! Sound familiar? I know I have been there. In this blog I want to advice you on where to go for that extra funding so you are able to grow your business as you want to. 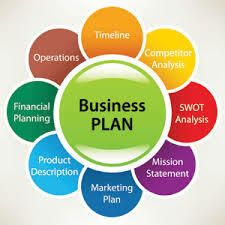 If you don’t already have a business plan then I suggest you put one together. (My next blog in 2 weeks’ time will explain how to put a plan together). They are not always necessary for all types of funding but will help ease the process if you have one and will also give you better focus and clarity on your company’s objectives. 1) Invoice Discounting and Factoring – If you invoice your customers and give them credit terms to pay, then this might suit you. Once you have invoiced a customer you can ask the financier to give you a percentage of the value of the invoice upfront, while you wait for payment. The financing company will probably want to take control of all of your customers’ debts and will not allow you to “cherry pick”. The percentage, of your invoice values, that you can get up front, will vary between lender and industry sector. 2) Invoice Trading – Some lenders, unlike above, will allow you to pick and choose as to which invoices you finance against. 3) Venture Capital – Venture capitalists are in charge of investing other peoples’ money. They really weigh up the risk of investing for their clients. They don’t usually invest in start-ups unless the product opportunity, market opportunity and management ability are all proven. They are normally looking for a tenfold increase in the business value over a three year period. It’s a bit like “Dragons Den”! 4) Business Angels – Wealthy individuals that are looking to invest in other companies. There are numerous websites but this one is really good https://goo.gl/bWvcHy . 5) Peer Lending – This is done via online platforms where you can pitch to multiple lenders at a time. You will need financial forecasts (see my last blog) and a business plan. 6) Crowdfunding – Similar to peer lending but you have to give up part of your equity if you want people to invest. 7) Merchant Cash Advance – This is great if you take debit or credit card payments. You have a loan that is based on the normal income you receive from card payments. It is repaid via future card transactions as an added percentage. 8) Short Term Cash Loans – If your business is profitable you may be able to get around 50% of your average monthly income, from your bank. It is repaid daily or monthly, direct from the bank account. 9) Trade Finance – For larger transactions, if you get an order from a customer and it requires you to buy extra stock or materials, in order to fulfil that order, you can get funding to bridge the gap between you paying the supplier and the customer paying you. The lender will pay the supplier direct and will recoup the funds from you when your customer pays you. 10) Equity Release – If you have equity in property then you might be able to get 50% to 70% as a loan by the lender putting a 2ndcharge on the property. 11) Asset Refinancing – If your business has vehicles, plant, equipment, etc. You can refinance the assets under new leases to generate quite large sums of cash quickly. 12) Friends and Family – Borrowing from people that you are close to, is not always a good option unless they are millionaires! There is always a risk in business that your venture does not work out and the people you care about will then lose their money too. If your business is failing, it is harder to walk away if you know you have amounts you still owe to family and friends. 13) Overdraft facilities – Bank overdrafts maybe an easy option if your financials prove you make profits regularly and your cash flow is buoyant. I.e. you need the overdraft in place for emergencies that may occur to cover you for the temporary blip. 14) Bank Loans – Banks are more likely to lend to companies that have been trading profitably for a few years and have assets that they can put a charge on, should the business fail. They also usually ask the directors of a business for personal guarantees. The Enterprise Finance Guarantee (EFG) loan can be offered by banks, and is a government backed scheme to allow lending to companies that have been turned down for other lending. 16) Soft Loans – These are also done via government bodies and are loans granted but at a very low interest rate. Check outhttp://www.startuploans.co.uk for more info on funding. Other good sites are http://www.bigissueinvest.com and http://www.princes-trust.org.uk . The majority of businesses finance the early days with their own money, either by using savings or putting items on credit cards or re mortgaging their home. 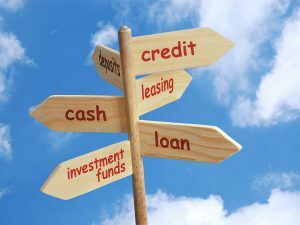 I hope I have given you enough ideas of where to look for the different types of financing. If you need help with putting that business plan together to attract the right type of investor then please get in touch, or check out my blog. Check out our website or ring on 0808 123 1399 or email us at enquiries@nozeyparkers.co.uk . The first 2 hours are free! A business forecast should be part of any good business plan. Trying to work out how you think your sales will increase or how your workforce might grow can be tricky things. Whatever stage you are at in your business, a forecast, or prediction, of what you think you will achieve, can give you something to aim for and measure against. In this blog I will try to clarify the workings of a forecast and how to predict as accurately as you can what your income and costs will be. My advice is don’t start with trying to work out your revenue. Look at your fixed costs or overheads first. Write down figures based on the annual costs. You will have a rough idea of what your overheads or fixed costs are i.e. rent, utility bills, phone costs, legal and insurance, postage, advertising and marketing budgets, and salaried staff costs are. Are you likely to need to purchase any IT equipment, furniture, machinery, vehicles, etc.? Will you take on more staff? Your variable costs are the ones that are generated by you selling your products and services. These could be materials, packaging, fuel, storage space, direct labour, etc. You should work out how much each product costs to produce, bearing in mind all these factors, or how much a chargeable hour of time costs. For example, if you were a maintenance company and you charged out at £50ph to your customers, the cost of being able to provide that hour would include the fuel in the vehicle, the wear and tear on the vehicle, the workman’s cost per hour, plus the employers part of the National Insurance, the protective clothing worn by the workman, etc. When you start to look at your business in this much detail it will show you what you need to plan for if the growth does come quicker or at a much higher rate than expected. When it comes to your income, be conservative. Don’t forecast based on your dreams. It is good, however, to do a “worst case scenario” forecast and also a better one based on realistic growth. If you know what your current gross margin is i.e. what’s the difference between your direct costs and your total revenue, as a percentage of total revenue, then you should assume you will continue to operate at that rate, and base your forecast on that. Obviously if you are planning for growth then you won’t just have increased sales figures, you will probably have the added costs of extra staff, recruitment costs, increase NI costs, don’t forget pensions and benefits, maybe a bigger premises, etc. You really need to think of everything that might be affected by any sort of growth. Problems with forecasting are that if you are basing your forecasts on previous data then the conditions may not carry on in the future, and also you cannot factor in unexpected events i.e. floods, bank crises, war, etc. So you might be saying, what is the difference between a forecast and a budget? Budget – this is set before your trading year has started and is usually based upon previous years’ figures. It gives different departments a guide as to how they should be performing and monthly financial figures will be compared against it. A budget will list all income and expense items in a profit and loss format. Budgeting helps manage your business so your forecast figures might happen! Budgeting is a goal. 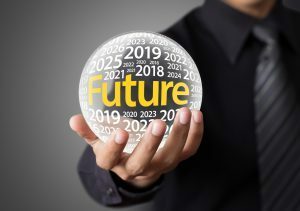 Forecast – Some forecasts do follow the same format as a budget, but can be just a guide or a list of “what if” scenarios showing top management the possible outcomes. Forecasts are what you want to happen. Forecasting is an educated guess. Some companies revise their budgets or forecasts on a quarterly basis, bringing in the actuals for the previous months – a rolling forecast. Forecasting cash flow, months into the future, is a must for any business. The further you forecast out, the better, as you’ll have more warning of leaner times. Asset purchases, VAT and PAYE payments will affect cash flow. For more details on setting up and understanding cash flow check out my blogs on the website. If you would like help with setting up your forecasts, budgets and cash flow, please get in touch. Check out our website or ring on 0808 123 1399 or email us at enquiries@nozeyparkers.co.uk. The first 2 hours are free!